Let’s start with one important question. Which of the following is critical to effectively using mobile technologies to build your business and accelerate your revenues? A Mobile App ≠ A Mobile Strategy. You might be surprised by that. But “random acts of mobile” are a good way to throw precious marketing and technology funding down a black hole, to under-deliver against what your stakeholders want, and to under-perform against your investment and growth expectations. 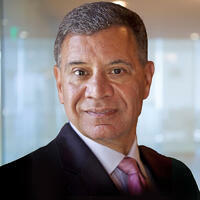 Commercial Mobile Technology Readiness ≠ Your Business Readiness to Deploy Mobile. 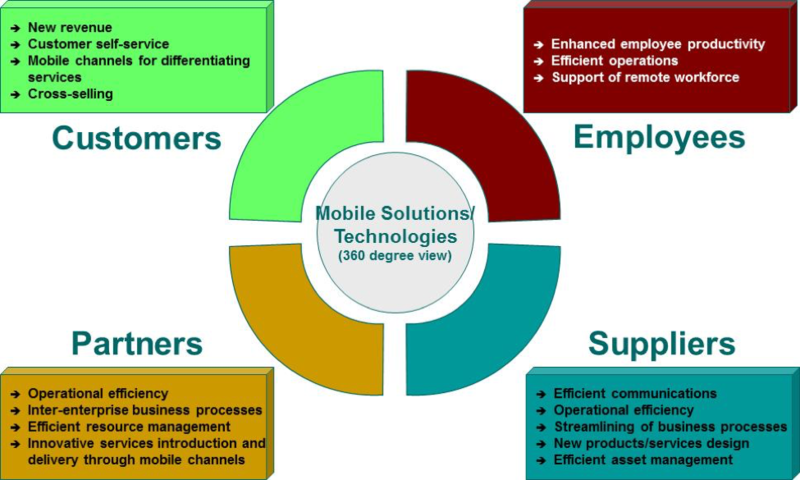 Mobile technologies clearly have developed to the point where they have massive customer acceptance and are technologically mature and secure. The readiness of individual businesses to understand their key opportunity areas and to tie mobile deployment to growth in the form of new channels, new customers, and new offerings varies widely. 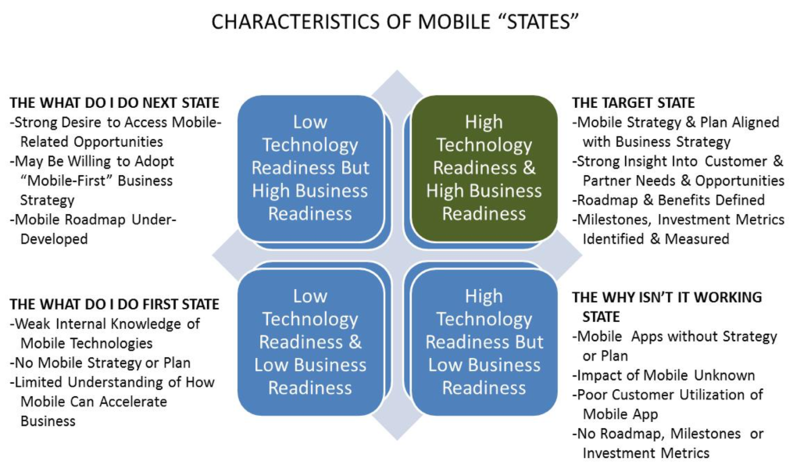 If the key to successful mobile deployment is about business readiness, then your goal should be to move your organization to the Target State. How do you know your level of business readiness and where you are on this model? If this is a timely question for you or your leadership team, there are a variety of effective mobile assessments which can help you get your team on the same page. Most start with a 360 degree analysis of opportunities across multiple stakeholder groups: customers, partners, employees, and suppliers. If you take away one point from this message, I hope it’s this. Mobile can be a strategic growth accelerator, but you should approach it strategically, plan-fully, with a roadmap, milestones, and investment and benefit expectations. It’s only partly about the technology.